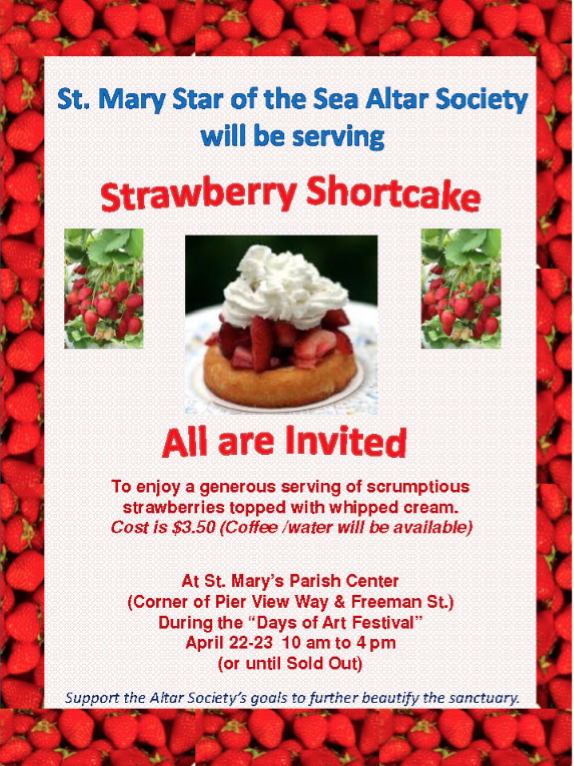 St. Mary, Star of the Sea Catholic Parish Strawberry Shortcake Sale! Home / Events / Altar Society, days of art, strawberry shortcakes / Strawberry Shortcake Sale! 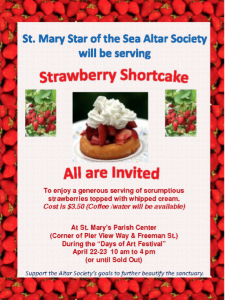 Join us for the Altar Society’s Annual Strawberry Shortcake sale!